One of the annoying part when you are new to Blogger / Blogspot is the language setup inside the platform. 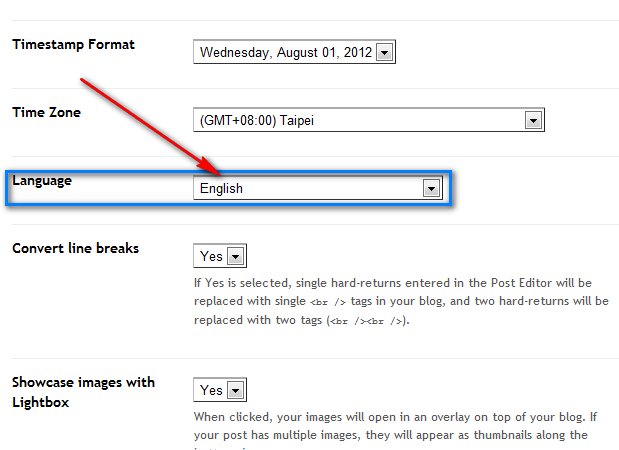 When you first created your Blogger account it eventually set your language based on your computer’s Regional and Language preference however, the only way to change it is directly into the Blogger settings. I recommend use English as the standard language to make you not confused. 2. 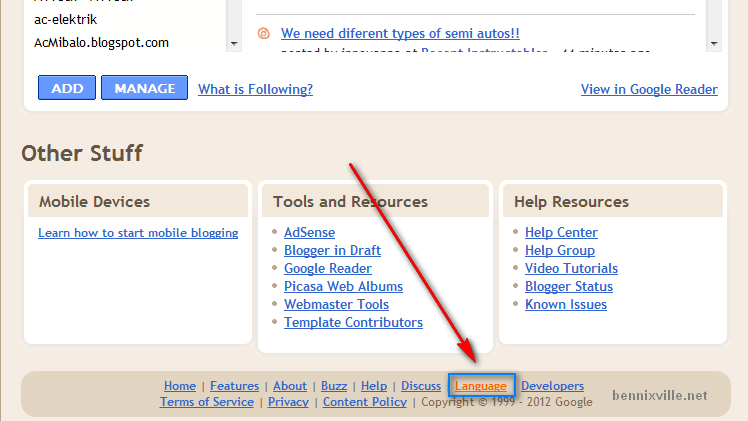 In your dashboard, scroll down in your footer and Click the Language menu then, change it whatever you want. 3. Don’t forget to click Save when you’re done. 4. Scroll, between the Time Zone and Convert Line Breaks you will find the Language menu. Change it to your desired language. 5. Don’t forget to hit Save button when your done. That’s all, hope it saves your day!